This is the 1st of 8 sermons on The Eight Essentials of the Moravian Church as described by several general synods held in the 19th century. They are no longer the official doctrine of our church, having been replaced in 1957 with a statement of theology known as “The Ground of the Unity.” The Ground of the Unity can be found on this site on the “Parish Papers” page. 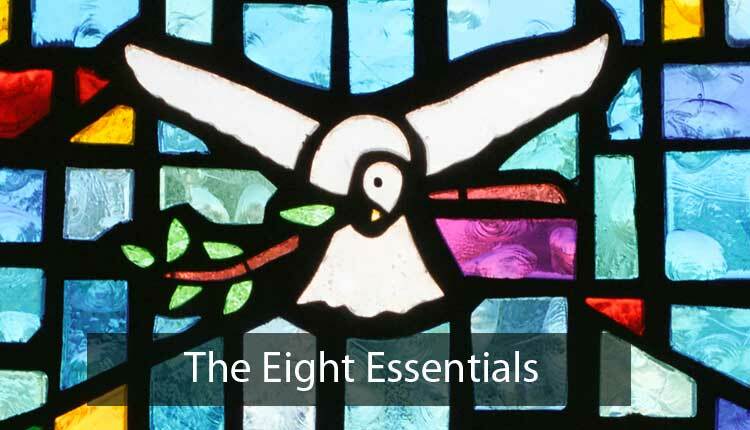 Though the Eight Essentials no longer represent the official theology of our church, they are still representative of the “kerygma” or “preaching” of the early Church, notably the list of Eight Essentials closely parallels the preaching of the Apostles in the sermons in the Acts of the Apostles. Once learned these essentials are wonderful “pegs” onto which to hand the various doctrines of the New Testament that make up what the New Testament calls ” the Good News,” “the gospel” or “the gospel of Christ.” This sermon is a DVD sermon. The text of the sermon is pretty much what was said on Sunday. The notes add information. I recommend that one read the sermon first, then read the notes, thus gaining additional insights into the texts. The doctrine of the universal depravity of humanity; that since the fall, no health remains in humankind, and we are powerless to save ourselves. When I was on Sabbatical, I spent many hours reading books and essays by skeptics, doubters, and militant atheists. I read them so that I could stand before you in the integrity and sincerity of my convictions to advocate the Way of faith. In my reading, I hit upon a two-fold truth. On the one hand, most agnostics and atheists have abandoned faith in God precisely because they cannot reconcile the idea of a loving God with all the pain and suffering in our world, a wold that lives under a sentence of death. On the other hand, when they begin their attack on God, they always begin by attacking the god of the philosophers and deists, in that they usually begin by attacking the philosophical proofs for the existence of God.